What Are the Best Vietnam Luxury Vacations? Long, slender and S-shaped, this dynamic and varied country offers so much for tourist looking for an immersive and interactive holiday. One suggestion for you is booking a Vietnam luxury tour can be rather overwhelmed as there are many options to choose with many different standards and itinerary. Therefore, you should read more information in the article about the place, food, hotel to get the best Vietnam luxury vacations during 6 days. Before you need to understand what is the luxury vacation. This type of vacation will waste a lot of money for travellers to get the luxury services. These includes 5-star hotels, resorts offering many entertainment activities or spa and sports, luxurious restaurants offering delicious foods, drinks made by famous chiefs and convenient transportations like the plane, quality bus, especially, picking suitable destinations. After landing at Tan Son Nhat airport, you will check the luxury hotels which listed above and have delicious breakfast in your hotel. On the first day, you will enjoy a full day city tour of Saigon with your guide on hand to offer their own insight into everyday life in Vietnam. Start with Saigon Opera House has been constructed since 1898 by the French architect. The theater is now a venue including 468 seats offers a good view from every seat for many high-profile events and cultural – entertainment activities of the city. You can walk to Dong Khoi street to grace Duc Ba church where is a famous age-long cathedral in Southern Vietnam. It is a wonderful building situated in the Paris Square in Saigon downtown, where is attracting almost tourists by its sacred atmosphere and neo-Romanesque style architecture. Following the French structure, Duc Ba Church established a community and religious services for French colonialists. 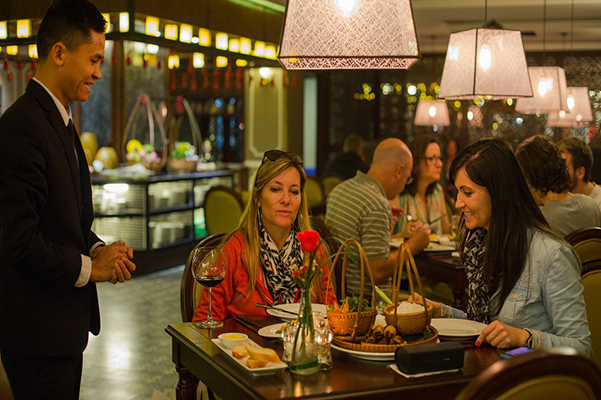 Nearly, following the above list of famous restaurants in Saigon, you will enjoy the first lunch in Vietnam. To continue visiting Independence Palace and War Remnants Museum where are two historical places of special interest for veterans. Independence Palace was built for a long time but it has just changed since 1975 the name like that when the big event happens the successive South Vietnamese president. The Independence Palace is called a five-storey building with the characteristics of basement housing of these including tunnels, telecommunications center and a war room. Next, the War Remnants Museum has situated nearly the Independence Palace which is focusing on the exhibits relating to the American phase, which is the house for displaying War Crimes of American Imperialism. In the evening, you should go to Bui Vien is called“ foreign street” which is known as a place for tourists to be able to feel the soul of Saigon, which is simple and the connection of the traditional and the modern of the East and the West. Of course, the drinking beer and eating some special foods which are suitable with foreigner’s favorite then you should come to your hotel and have a good night. You have just spent over 1 hour for the flight from Tan Son Nhat airport to Phu Quoc airport. 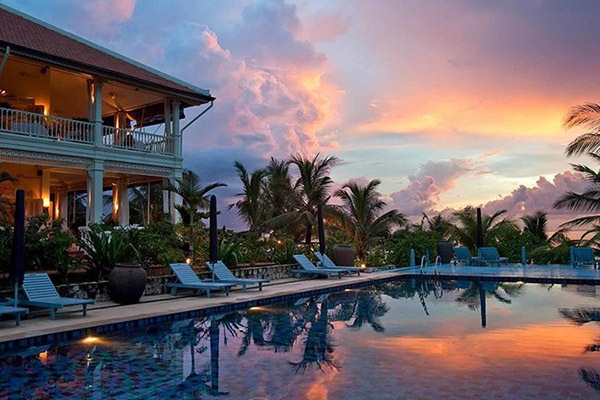 Phu Quoc is your dream vacation destination. One a secret backpacker retreat the paradise islands of Phu Quoc have evolved to become one of Asia’s premiere vacation destination and a top tier digitally connected the smart city of the future. Currently, on Phu Quoc you will easy to find 5-star luxury beach resorts, casino, and golf, an international airport, who standard international hospital and even a zoo. The suitable time for traveling to Phu Quoc lasting from November to April, with the peak tourist season occurring between December to March, which organizes the numerous events that occur during this time. Water activities in Phu Quoc are abundant ranging from land, ocean and aerial tours to hiking, scuba diving, fishing, bird watching and trekking. You will find a large amusement park, safari zoo, and world-class golf courses. Otherwise, Shopping On Phu Quoc island is plentiful and there are limitless options to enjoy the finest cuisines from around Vietnam and the world. Therefore, to get the best Vietnam luxury vacations, it isn’t missed visiting Phu Quoc including visiting most beautiful beach, discovering historic prisons, going to sacred temples, trekking through a National Park and enjoying the ocean sunset. Continue the journey with a blast of organised chaos in the bustling and ancient city of Hanoi, where appears tree-lined boulevards and narrow alleyways packed with goods. 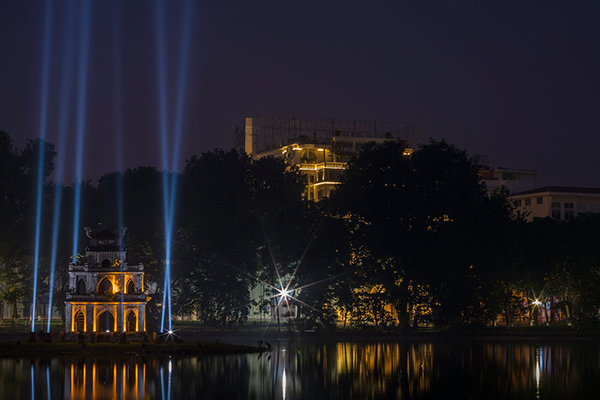 This city tour of Hanoi takes in essential sites which will commence from your hotel. After the breakfast, you will visit the Ho Chi Minh Complex including the Mausoleum, his former stilt-house residence, and one-pillar pagoda. After lunch at a local Vietnamese restaurant, you will continue visiting the Museum of Ethnology to expand your knowledge about the country. This museum contains many historical tools of Vietnam’s 54 ethnic minority peoples! Then calling a taxi to come back Hanoi Old Quarter, you should take a cyclo tour of the Old Town, a compact maze of buzzing streets dating back to the 13th century. Besides the exciting scenes around narrow streets, you can take in a street food to discover local delicacies and delicious cuisine. The final activity in the day is coming to theater to watch a traditional performance of the famous Vietnamese water puppets. Your vacation continues with a cocktail experience following to the guidance of professional bartenders in the warm, friendly environment of a Lounge Bar. The cocktail experience offers you the chance to taste, the unique range of nine Son Tinh cocktails enjoyed with some healthy Vietnamese drinking. After that, high recommendation for you is joining the luxury bar in Hanoi such as Bamboor bar to enjoy the special drinks and activities in here. Next stop place is the real Halong Bay where similar limestone outcrops soar out of the morning haze. At 8 a.m, you will be picked up at your hotel and start the scenic 4-hour drive to Halong Bay. Or you can choose transfer to Halong Bay by a plane which has just wasted over an hour. However, one suggestion for you is moving to the destination by air-conditioned bus as you can grace the view on the road. You should take 25 minutes to visit Halong Bay from above by seaplane. 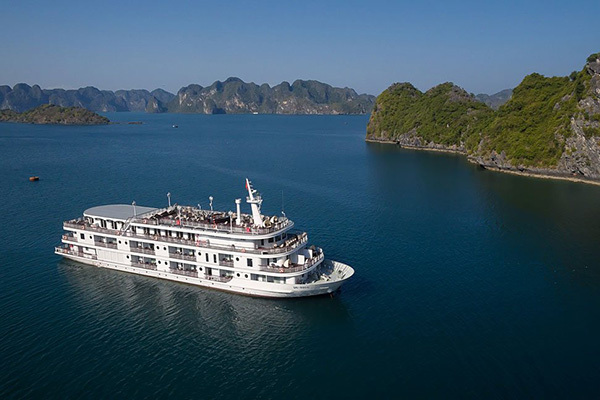 However, you want to grace Halong Bay from above need to apply in a group over two people. The price ticket for one person is $92. Choose the luxury cruise to overnight and visit several famous islands, caves. For example, these include fighting chickens, incense burner, “ Hidden Wooden” cave and “Heaven” cave which are attracting a lot of foreigners by amazing. Continuing the journey in Halong Bay, you discover tons of famous landmarks like “Sung Sot” cave which is considered as one of the largest caves and the most beautiful of Halong Bay. The cruise takes you to the fishing villages where you can see no busy traffic and no high rise building. Instead of the local people amaze you with their traditional cultures and daily activities, they carry out mostly on herds of boats and rafts. Kayaking, swimming, snorkeling and Vietnamese cooking demonstrations are also on offer. You can have two options either joining cooking class on the board or discovering Bat Cave by water activities to gain more experience when traveling in Halong. 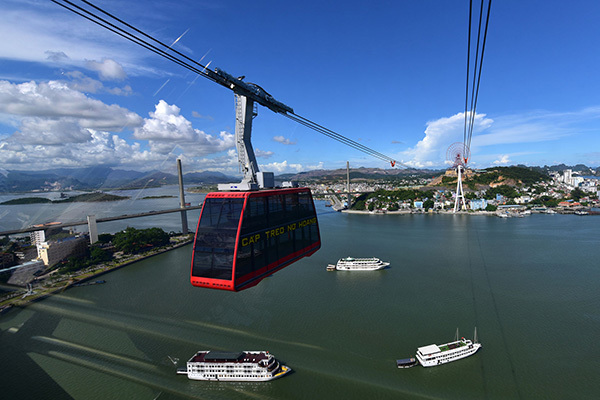 The famous park in Halong Bay is Sun World which is constructed with Queen cable car system and Sun Wheel. Sun World Halong Park is an entertainment complex with Vietnam’s largest theme park, which offers a huge variety of modern and unique entertainment at a world level. When coming to Sun World Halong Park, you completely experience in the immersing of the “dragon land” with plenty of hidden and interesting decorations to have a strange feeling. There are many interesting activities in Halong Park, let’s experience as soon as. 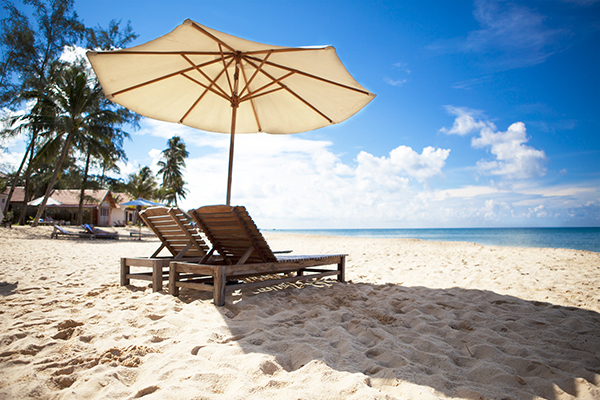 It is no doubt that Vietnam luxury trips should be organized with plenty of the relaxing time. However, spending the real time will make your best trip which gives you great opportunity to explore local culture and history in Vietnam. You should find out the traveling guideline to know the number of days in your luxury tour of Vietnam to explore some historical landmarks and outdoor activities in the famous beaches. Vietnam is an exciting, safe and friendly country so let’s be less afraid and be more excited to explore. 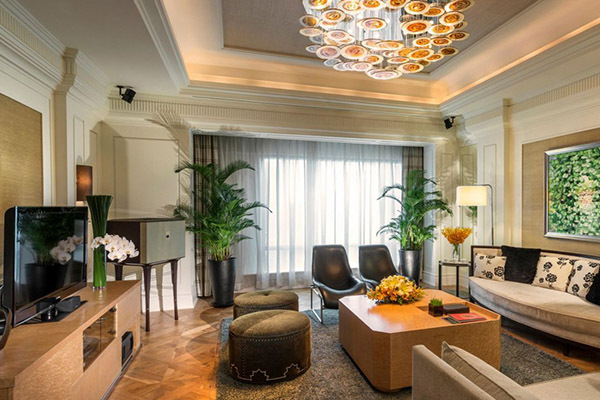 Your Vietnam luxury vacations will be much more meaningful and memorable when you can combine the luxury trip with some of exciting local experiences. 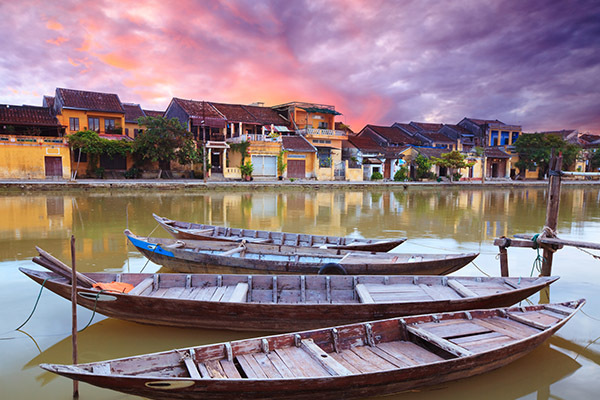 Additionally, due to a variety of terrain and travel destinations, you can modify your Vietnam luxury tour packages accordingly to this article. This luxury tour is purely a suggested itinerary.